As New opened at Sizzazz in the Puerto of Estepona. Second hand clothes bought and sold. 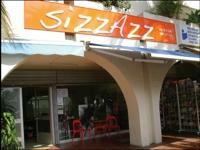 Sizzazz in the Puerto de Estepona have announced the opening of AS NEW located within their existing premises. It seems like a good idea to be able to sell your unwanted clothes at the same time buy as new to save money during these difficult times of economic crisis. You are welcome to call or visit Sizzazz at any time.